A major winter storm is barreling through the Northeast Tuesday, bringing dangerous snow, ice and rain to the evening rush hour commute. 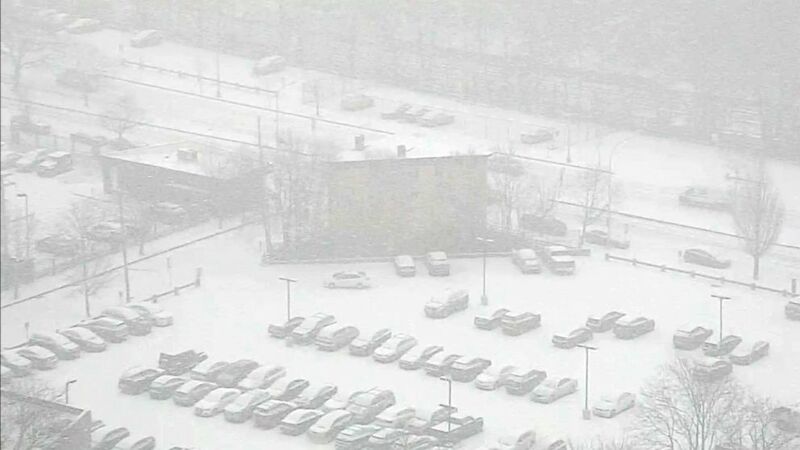 (WTNH) Snow blankets a Connecticut parking lot, Feb. 12, 2019. New York City's evening rush hour will be messy as the sleet and freezing rain warms up to rain. Drivers should be prepared for "a slow slog," said New Jersey Gov. Phil Murphy, who declared a state of emergency. New York City Mayor Bill de Blasio added, "The evening rush hour will be very slippery. It's going to be slower and more difficult than usual." "If you have the option to not drive back but use mass transit, please do," the mayor said. 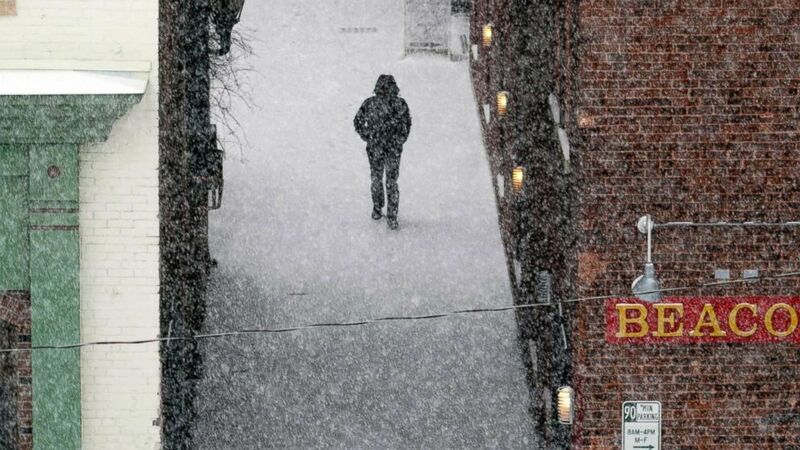 (Ben Garver/The Berkshire Eagle via AP) A man walks down an alley to McKay Street as snow falls in Pittsfield, Mass., Feb, 12, 2019. The snow will eventually change to rain for all the Northeast coastal cities overnight, but inland, it's a different story. 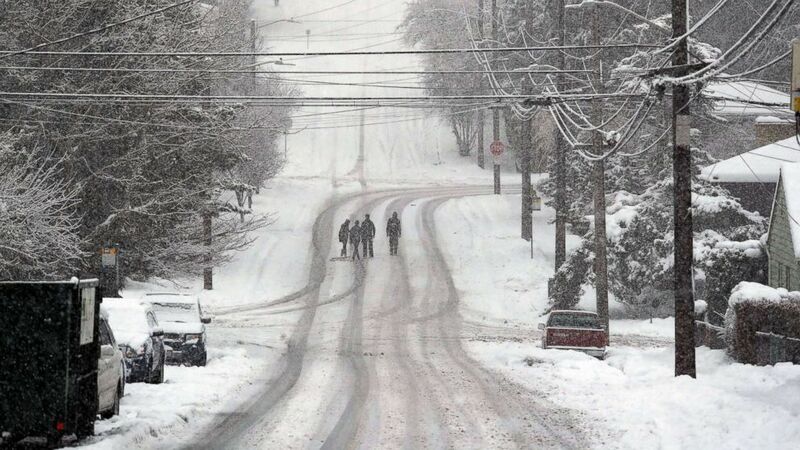 In Pennsylvania, New York state and New England, some areas may see up to 1 foot of snow. (Elaine Thompson/AP) Pedestrians cross a deserted street as heavy snow falls, Feb. 11, 2019, in Seattle. ABC News' Will Gretsky, Christine Theodorou and Chad Murray contributed to this report.